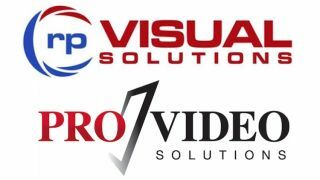 rp Visual Solutions, (RPV), has expanded its manufacturers’ rep force with the addition of ProVideo Solutions. ProVideo will support RPV by connecting with businesses in Texas, Oklahoma, Arkansas, and Louisiana that need RPV’s custom AV solutions. For more than 15 years, ProVideo Solutions has been providing access to cutting-edge technology through the various manufacturers it represents. Its Dallas demo center features a variety of integrated AV products including AV-over-IP solutions and a true 1080p LED wall. ProVideo has offices in Dallas, Houston, and Austin to serve its clients.